Caper is a Labrador Retriever/Great Dane7 month old, 45 lb puppy. He is a sweetheart. He is courageous, protective and housetrained. Even though this is a large pup, he is calm, good natured and very affectionate. Caper plays well with others and is good with all people and children. He prefers to be around his foster family now but will soon be around you. Caper is learning all the good puppy commands preparing himself for you! Even though Caper needs adequate exercise he would love to be a lap dog. Please lets find him a loving home! Betsy is a Labrador Retriever/Harrier Mix who is 5 months and 15lbs. Betsy is a sweet pup that is full of energy and needs a good amount of exercise. She loves to play Frisbee and loves her toys. A yard with a fence would be good for Betsy. She is housetrained, sociable and energetic. 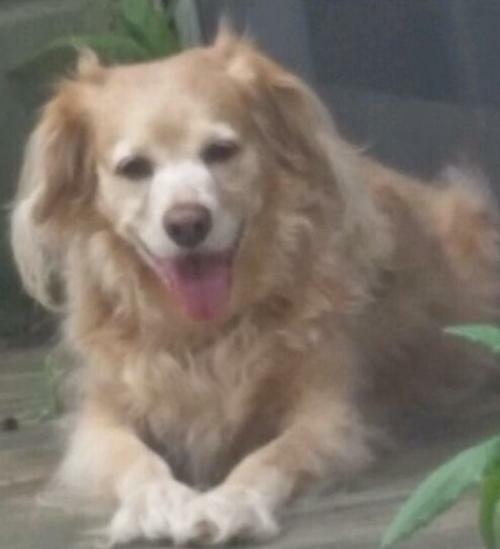 She will make a very dependable family dog with her cheerful nature. Betsy lives in a foster home now with other dogs, children and adults. She is peaceful with all. She really needs a forever home. Come visit with this very affectionate pup. Please lets find her a great home! Maybelle is a Hound mix who is 4 years old. She was recently relinquished as the family is moving and could not take her. What a sweet girl she is. She was adopted almost a year ago and although she is a little heavier, she is just as sweet as she was when we took her in. 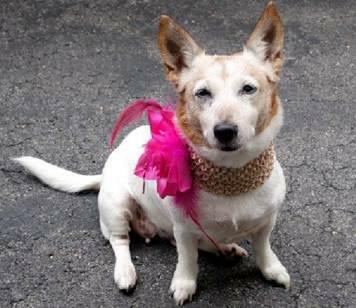 She is in a foster home and is a perfect lady a go along girl who is quiet and content to just hang out. She enjoys affection, attention and belly rubs but is not over the top with any pushiness. 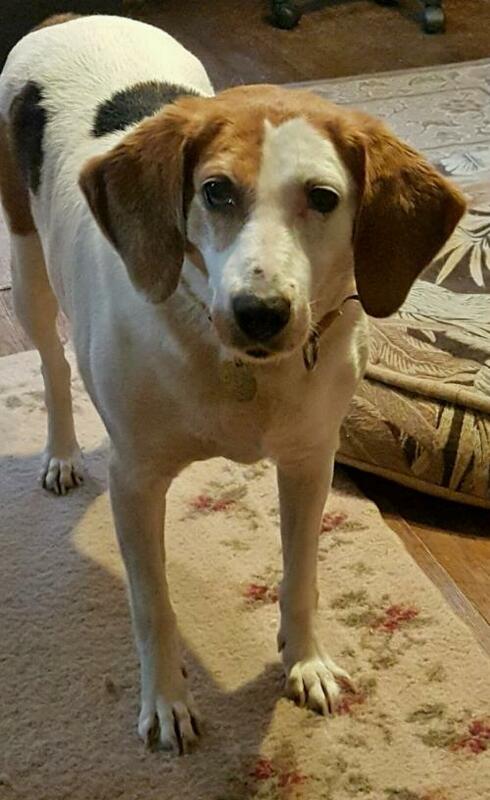 Maybelle would do well with an older person who just wants a nice companion or with a younger family as she seems to adapt easily to family life. She has no accidents since being in her foster home. Please lets find her a good home! 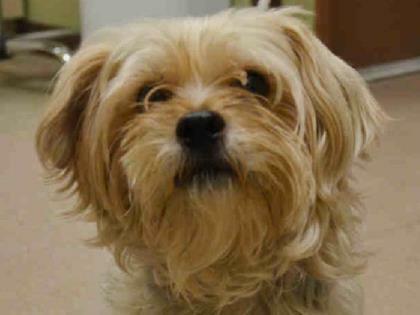 Teddy is a Yorkshire Terrier mix who is around 10 years old. He is just sitting at the shelter hoping to find a family to love. Please lets find him a loving home! 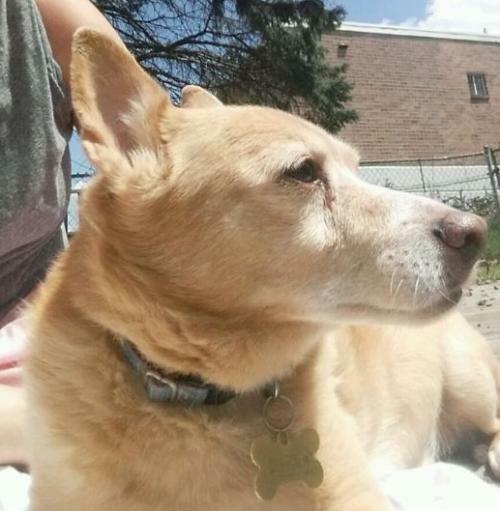 Tortellini is a Rat Terrier mix who is around 10 years old. He just wants to find a best friend to spend his life with, someone who will love him as much as he will love them. Please lets find him a great home! Poor Snickers and Reese they just lost their dad and now their whole world has been turned upside down. They went from having someone home for company all day and a fenced yard to play in, to a home where their new caretaker works full time and can only take them for leash walks. As you can imagine, the boys are terribly confused and worried about what life might hold for them. Their caretaker is doing her best, but she knows the boys would be happier in a situation similar to what they’re used to, so she’s asked us to help them find a new special someone who can make them feel safe again.Snickers is about 15 years old, and his buddy Reesee is 10. They get along fine with other dogs, and while like many older dogs and people they aren’t crazy about energetic little kids, they will just avoid them rather than bite. Both are in good health and recently had a check up, so their bags are packed and they’re ready to go maybe to your house. They need to remain together as they are a bonded pair. Please lets find them a good home! 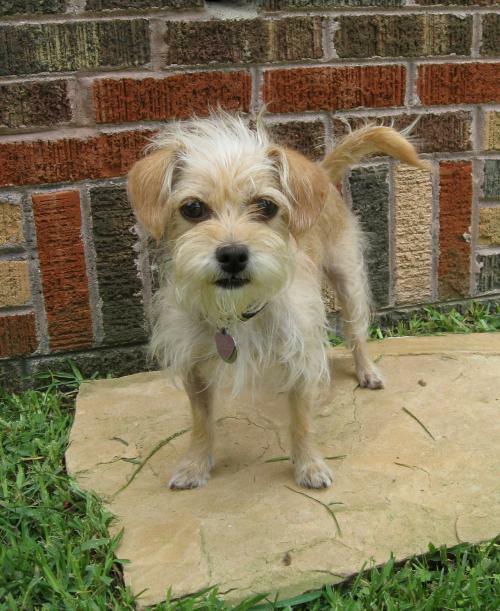 Lychee is a Cairn Terrier mix who is 1 year old and 9 lbs. She is sweet and delicate. She was living on the mean streets with her puppies when a wonderful volunteer from the rescue brought her to safety. Her puppies have all found forever homes and now it's time for her to do the same. She is a gentle little girl who loves attention but doesn't get in your face too much. She does love a good lap and a good nap especially when they're paired together. She is housetrained and listens very well. She loves other pups and cats seem to be ok. She is very easy going and everyone who meets her just wants to cuddle her. Please lets find her a loving home!